Enjoy the freshest tastes of spring with roasted garlic and asparagus soup filled with nourishing, mineral rich stinging nettles! This spring seems to be flying by and we are enjoying all of the activities that it brings! My spring weekend goals always included meals that are simply as hands free as possible. After months in the cold weather, we just want to be outside. Last weekend was on the chilly side, though we still had some yard and garden work to finish up, and I noticed my stinging nettles were ready to harvest. Those fresh spring rains we had the weekend before really kicked their growing into gear and the tender, young greens at the tops of those plants are perfect for a spring soup on a chilly day. 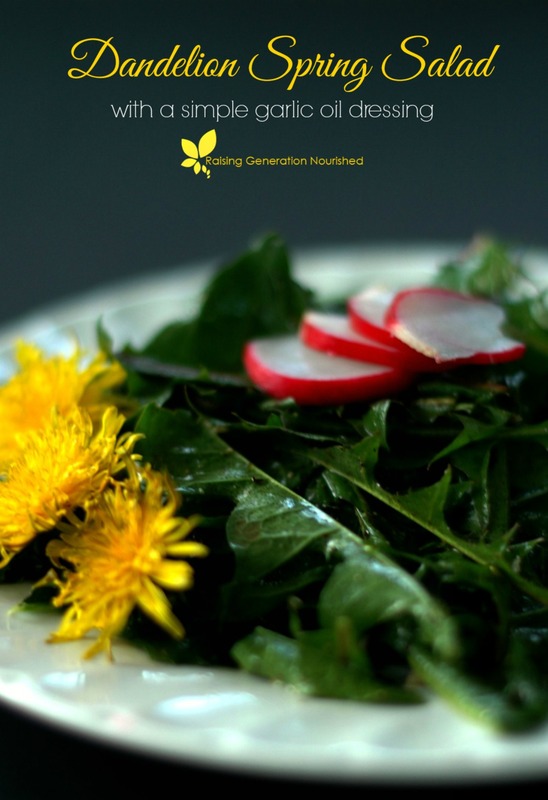 Stinging nettles are a vitamin and mineral rich powerhouse that can add into just about any recipe so long as the “sting” is cooked out of them. Give them a quick steam and add them to a green smoothie, wilt them into your favorite stew or stir fry, or blend them up with a fresh green soup like this roasted garlic and asparagus soup, and you can add an abundance of nutrients to your bowl. But wait! 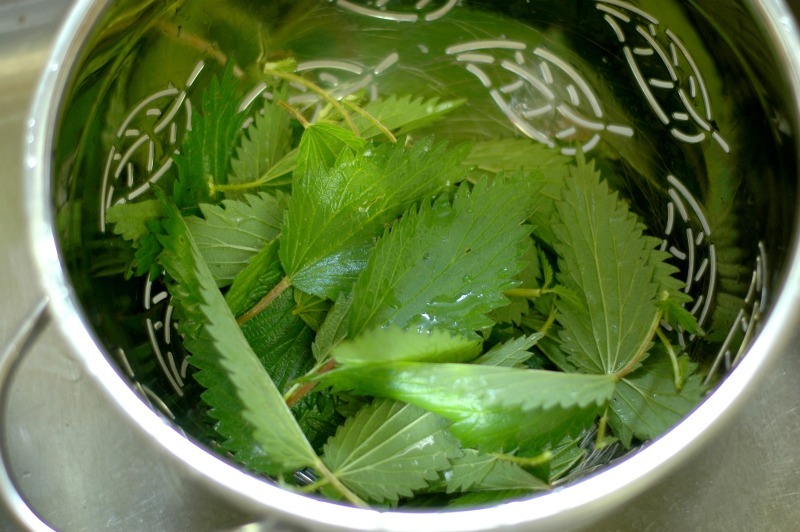 If you don’t have access to fresh stinging nettles, you can buy dried nettles and use that! 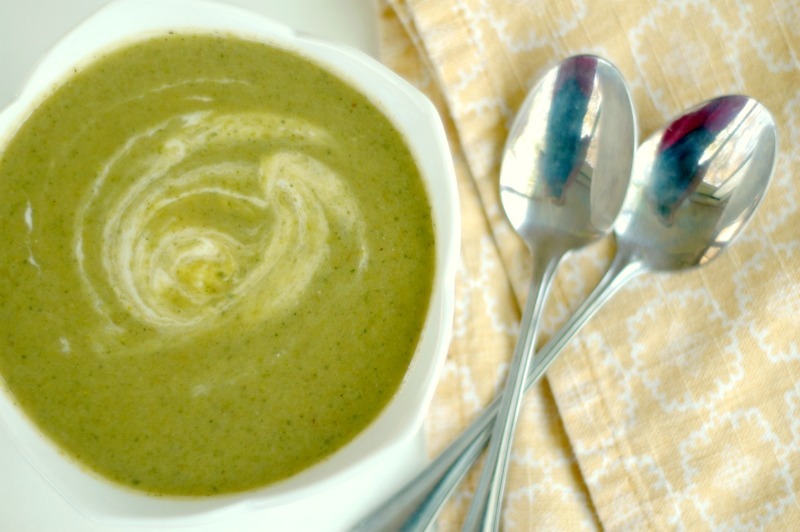 Of course this time of year is just brimming with asparagus as well and together with drool worthy roasted garlic this green soup is not only loaded with nutrients, it also tastes amazing! 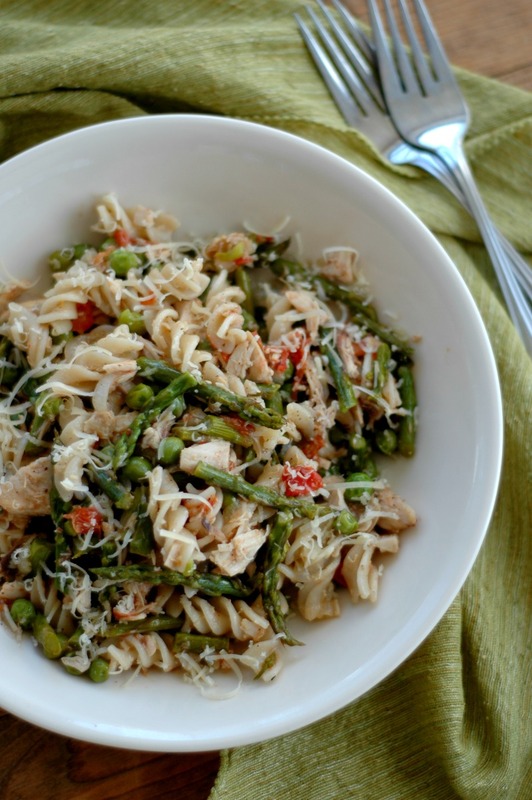 It made a great, quick weekend lunch and the leftovers packed up in the school thermos for an easy to pack school lunch. 2 cups fresh stinging nettles Be sure to use gloves while handling so you don't get stung. 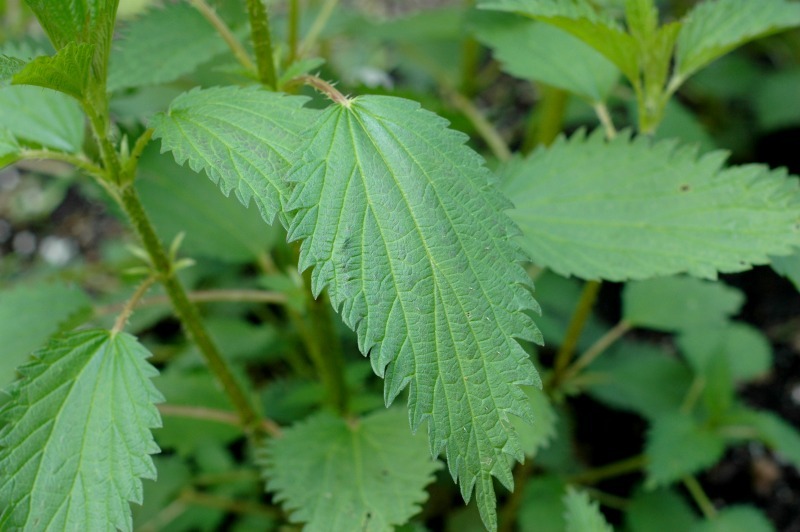 If you don't have access to fresh nettles, you can use about 3/4-1 cup of dried nettles . 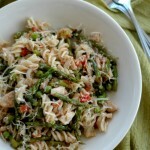 Toss the asparagus and garlic cloves with 2 TB of butter and sprinkle with sea salt and pepper. Roast in at 425 degree oven for 25 minutes. While the veggies are roasting, melt 3 TB of butter in a soup pot and add the onions with a big pinch of sea salt. 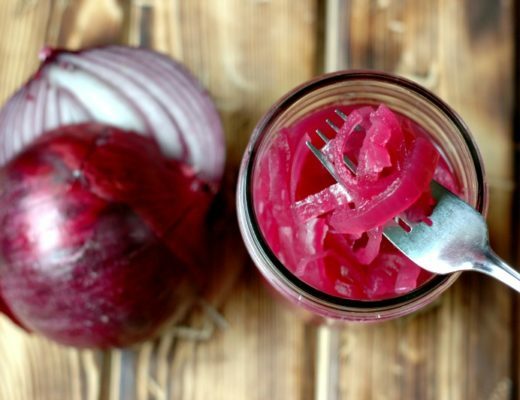 Cook over medium heat for about 7 minutes to soften and sweeten the onion. Add the fresh stinging nettles to the pot, stir and cook for a couple minutes to wilt. Add the bone broth and roasted asparagus and garlic, and bring to a simmer for a few minutes. 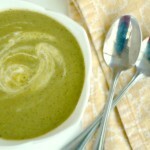 Use an immersion blender or regular blender to puree the soup. Add sea salt and pepper to taste. 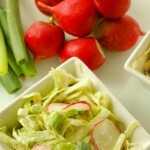 Garnish your bowl of soup with a dollop of whole yogurt or sour cream, or stir in some fresh raw cream or coconut milk. Fresh chopped chives are great too! 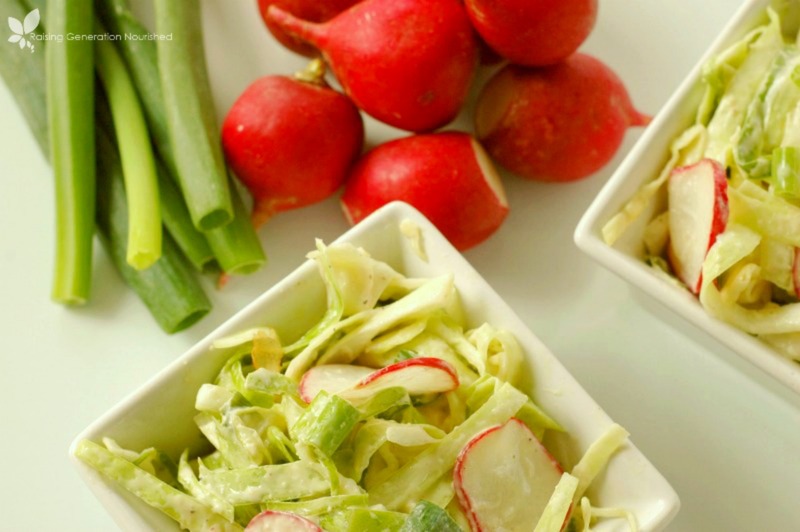 For more nourishing food ideas, you can follow my Nourishing Staples board on Pinterest! Wow! 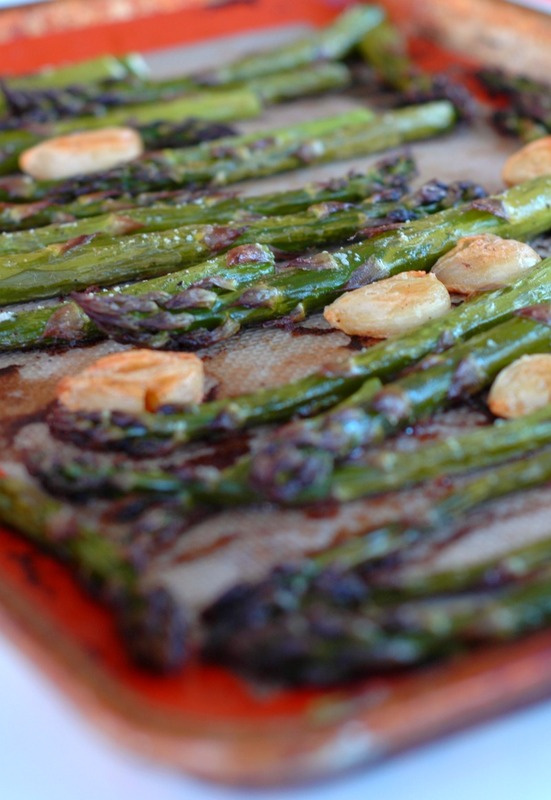 Roasted asparagus and garlic sounds superb! Never thought to use asparagus for a soup, so this is very intriguing. Thanks for sharing! Wow this sounds delicious! 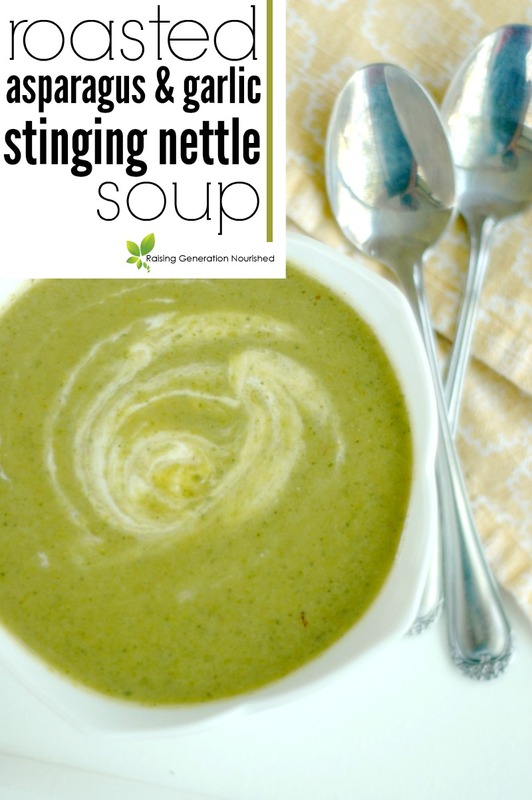 I have never cooked with nettles, but now I want to … and make THIS soup. Love that cute bowl with the leaves too. 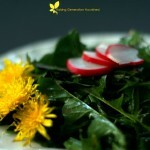 I still have never cooked with stinging nettles but I hear about all the benefits and I really want to. This sounds like such a comforting and nourishing soup, and it might be my first recipe using them! Oh, that sounds fantastic. 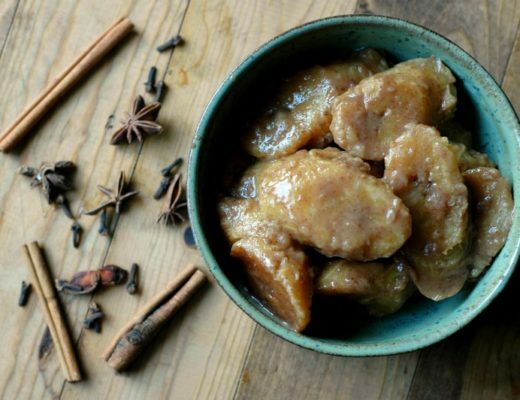 Love recipes that show me how to use new ingredients. I’ll have to keep my eye out for fresh or dried nettles!